Known by the tuft of black hair on the tips of its ears and its short, or bobbed tail. 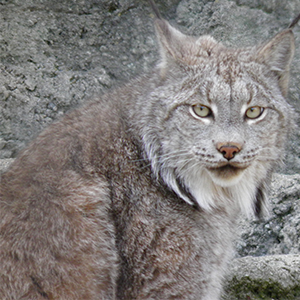 Canadian lynx specifically has a unique black tail tip as well as extremely thick, light brown or gray fur with light spots. 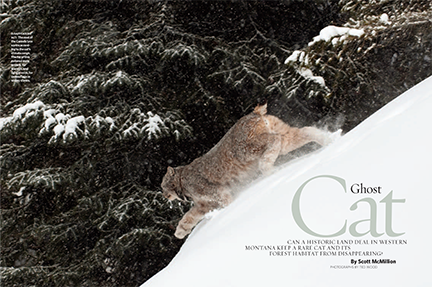 Canadian lynx live in dense forests where their main prey item, the snowshoe hare is found. When the snowshoe hare population drops so does the Canadian lynx population.